A cat in gloves catches no mice: Sometimes you cannot get what you want by being careful and polite. Restraint and caution (or ‘pussyfooting’) achieve nothing. Typing to the chirps of crickets and the hoots of owls is how I began writing about music. It was me and the most ungodly of hours, with only the moon, stars, and whatever song or album held my obsession. Money was a mere fantasy. The lottery seemed like a better gamble than being paid for writing. Years would go by before receiving the first slice of fruit for my labor and it brought an elation I relate to hitting the jackpot on a penny slot machine after tireless days and restless nights of pulling the lever. The victory was a sweet one. Luckily, I was in a position to relive the feeling, and the fantasy became a recurring blessing. Somewhere between quitting my old job and starting life anew as a writer, a wise mentor gave me some excellent advice: Always know your worth. The worth of words is an abstract concept that I&apos;m still struggling to understand. I went from feeling underpaid and underappreciated at Olive Garden to happily making money as a writer. Worth wasn&apos;t a question on my mind but when it did pop up I found myself wondering if I was worth diamonds and gold or nickels and dimes? What is too much? What is not enough? Where was the metric system to gauge talent, passion, and place in this gigantic world of music and journalism? From freelancing to staff positions, how does one realize what they deserve to make? Thinking about self-worth, what constantly came to mind was Kanye rapping “Give me fifty million or I’mma quit” on the eternal summer single “Mercy.” It was easy to picture him storming into the Def Jam office, kicking over the coffee maker, breaking his Louis Vuitton briefcase against the office table, and demanding L.A. Reid show him the money in an unwavering bark. Something about the line didn’t seem far-fetched despite the outrageous amount; he’s the same man rumored to have made the entire Def Jam office adjust their wardrobe from Friday casual to Easter Sunday just to preview My Beautiful Dark Twisted Fantasy. The line always represented how he knew his worth, the worth of his art, and wouldn’t take anything less. Kanye’s confidence is what I&apos;ve always admired. From my very first impression of him, he seemed as if he had more than most humans, an abundance of overflowing self-assurance. What made him the brash egotist of hip-hop also seemed to be a sturdy shield protecting his innocence in an industry that crushes the weak and exploits the enchanted. From making those five beats a day for three summers to fighting for his chance to be heard as a rapper, his confidence never faltered. There isn’t an instance I can remember where Kanye West didn’t think he would be upheld as a great, if not the greatest. As he grew more renowned so did his prolific ego. I can recall hearing chatter about Kanye needing to be humbled, that his narcissism overshadowed his genius, but there isn&apos;t brilliance without the vanity. Ye knew if he was going to talk big he had to deliver big. His inflated self-belief may have been criticized but Kanye never made excuses. He always stood behind his art and actions. From George Bush to Taylor Swift, he continued to stand before us as the outspoken poet with the aura of a spoiled prince and a voice loud enough to shake the heavens. 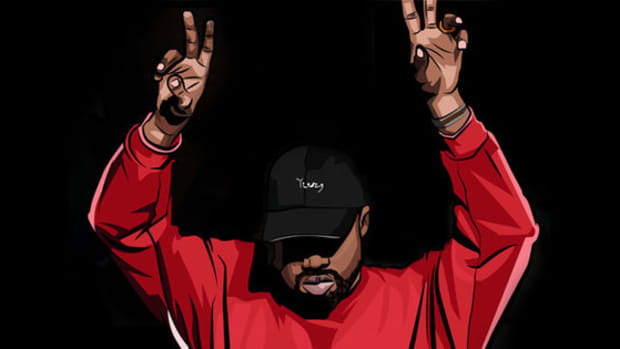 I didn’t always agree with his actions or antics, but he did everything with an admirable conviction―it&apos;s hard not to believe in the Kanye that believes in Kanye. A belief and conviction that I always hope would burn within when the time called for it. I started to view Kanye’s confidence in a new light after recently revisiting “New Day,” one of the deep cuts from Watch the Throne. 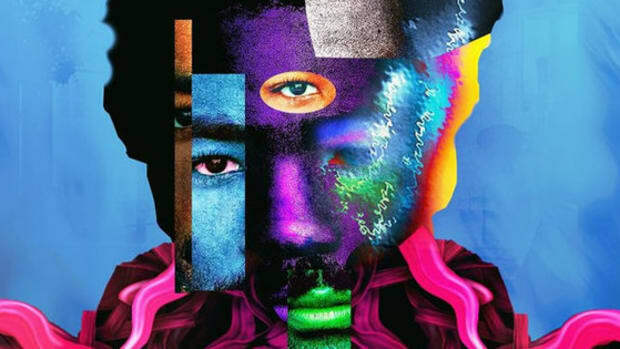 Despite the theme of celebrating prestigious black excellence, the album doesn’t have much return value for me. Returning to the record six years after its release, however, I have gained a new perspective on an old favorite. “New Day” is special. RZA’s mood-inducing sample of Nina Simone’s “Feeling Good” that feels like a ghostly grandmother whispering from the other side is far more chilling than light-hearted. You can hear it in Kanye&apos;s tone as he shouts out RZA, there’s a hoarseness as if he hasn’t seen his bed in five sunrises. I remember the song as a letter to Ye and Jay’s unborn sons, but hearing Kanye’s verse in 2017 sounded much more like a man speaking in the mirror than one jotting thoughts in a notebook. This line comes from a man who has always worn his ego as a crown with more jewels than the Yeezus mask. I don’t remember being stunned by it years ago, but it’s shocking when isolated and questioned. Why would he not want his son to carry a similar sense of self-esteem or self-importance? You would think Kanye would raise his son like his mother raised him, but in this introspective look into the future, he would rather the junior of his dreams not inherit the prolific ego. From the opening line, he begins to unravel himself. In reflecting on what it would be like to raise a child, Kanye saw something in the way he lived. Qualities about himself he wouldn’t wish upon his offspring. I won’t say he regrets the life he’s led, but if he could change things, I don’t know if he would do it all again. For example, how he might refuse to allow his son to attend a telethon, even if the world was ending? If the world was over a telethon wouldn’t save it, but it makes you question how Kanye feels about his Katrina outburst. I remember how the black community applauded, but what was the backlash like? He publicly disrespected George W. Bush, taking a direct shot at America’s 43rd president. He goes as far to say that he&apos;s raising his son as a Republican so that white people wouldn’t assume he hates them. Watch the Throne happened post-Taylor. I didn’t think he still carried whatever wounds he received from that backlash but it&apos;s apparent that being hated bothered him deeply. It&apos;s a bit sickening to see someone so strong wear an apologist cape, but it&apos;s hard to gauge strength when you truly don&apos;t know a man. An easy life. Someone who people will like. For someone so outgoing and brash, Kanye wished for the seed that would carry his name to know acceptance and spread kindness. To find love in high school and never venture into strip clubs. You can admire a man for his actions, but never experience any of the consequences. I don’t know what it’s like to be hated, but Kanye does. At the least, he feels like he does, and when you’re famous, in the public eye, I wonder what it does to the psyche having to deal with being praised and facing disgust for your actions. What kind of worry does that bring? Well, the kind Kanye wouldn&apos;t want to pass down. What is most intriguing about Ye is how much he doesn’t want his son to be like him, especially when you contrast how many creatives admire him for all the things he’s done. 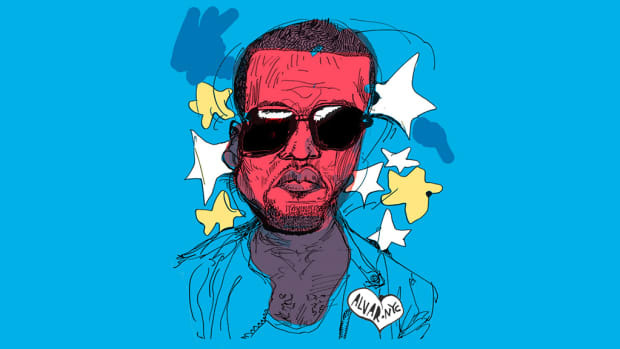 Before the birth of North West, there were countless kids who saw Kanye&apos;s art, style, and personality as their blueprint. He was the father that birthed creative kids, but he didn&apos;t have to raise them, and they didn&apos;t have to carry his sins. 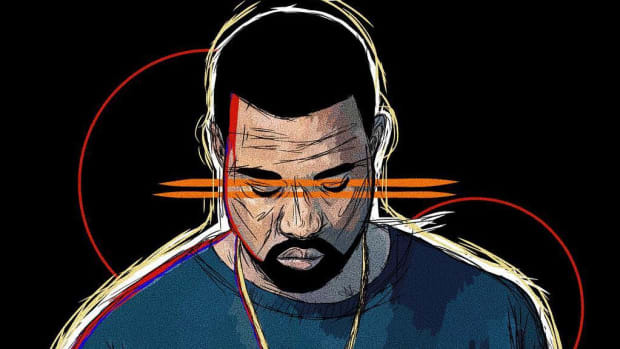 “New Day” shows a side of Ye that isn’t the superhero but a man exhausted by never pulling his punches. A fighter who spent his career fighting, and while we’ll praise him for all the battles, we don’t know the extent of the damages. 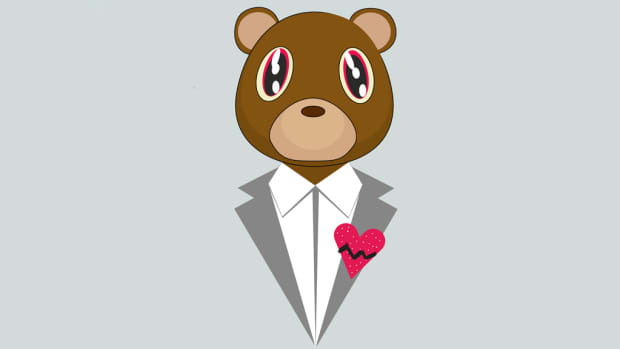 After Watch the Throne,we started to see the slow transformation that would later cause many to ask for the old Kanye back. The same acceptance he wished for his son would later be expressed through his attempts at entering fashion and slowly transitioning into a world where he felt a change was necessary. Somewhere the confidence began to falter, the ego was crushed, and the shield was finally broken. The loud aura he once had seemed to grow silent. 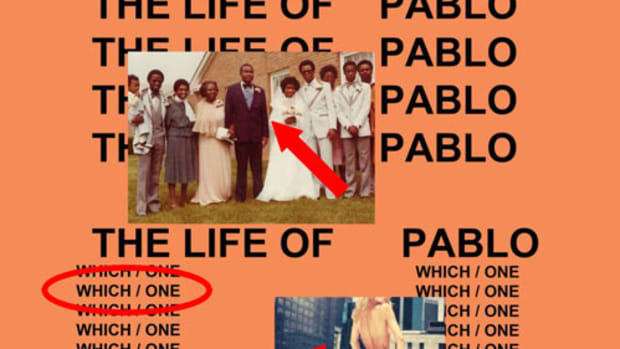 Even when Ye would rant, there was a disconnect; a piece of that old fire was missing. In his interview with DAZED, Tyler was asked about Kanye’s passionate attempt to be accepted in Paris through fashion&apos;s gatekeepers. Tyler response is reminiscent of Kanye of old: “I could do a show in Paris without any of them. They’re not stopping me. That’s the thing. People think, ‘I gotta be cool with these people to do this or I gotta get respect from the people to do this.&apos;"
Tyler had the answer that Sway also had, but Ye didn&apos;t want to listen. He no longer had that eye of the tiger to overcome without permission. That’s why I see Kanye as an example of the bold, fearless bravery necessary to enter a creative field and truly be respected if you are gifted. You can’t always be quiet. You can’t always ask politely. 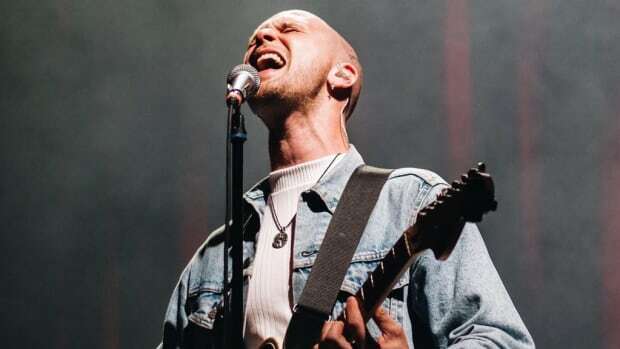 But in the later stages of his career, he represents conforming and vying for acceptance. It’s the big difference between how he entered hip-hop and how he entered fashion―kicking down the door or knocking politely. “New Day” represents the split between these two sides, Kanye the egotist and Kanye the conformist. In both cases he still innovates, he’s still creative, and he’s still a genius, but somewhere he begins to lose a piece of himself that was so imperative when he started. It&apos;s almost like everything he wished his son wouldn&apos;t inherit he begun removing from himself. I’m still coming to terms what it means to have self-worth as a writer. At the beginning of this year, I had an opportunity to write my first cover story for a magazine, but no compensation was offered. To know me is to know a magazine cover would be a dream come true. I wavered between the great experience and also knowing that the job was too big to end with only exposure. Deep down I knew I would’ve done it, but the superstar rapper I was meant to interview was unresponsive after agreeing to the story, and the cover story moved on to another artist and another writer. Even though I wanted to be the Kanye of old, I felt like the conformist more than the egotist. I didn&apos;t like it. The magazine wasn’t Ebony, but I look at their current fiasco and wonder why writers continue taking their offers after learning of their history of stiffing writers. After being so close to doing free work myself, I know the answer. The game is teaching me that to write means you’ll have to fight for what you deserve, and sometimes fight for what you were promised. I think we all wish to request $50 million for our art and know the only answer will be yes, but that’s not happening. What I&apos;m learning is that it is imperative to find that Kanye voice within yourself that’s going to fight passionately for your worth once it&apos;s discovered. Be like Kanye and never budge unless you absolutely believe it&apos;s worth budging. No one hears the whisper, but everyone hears the yell. A little ego doesn’t harm anyone, and a little pride might be the devil&apos;s advocate that will get you the pay that you deserve and not what they decide to give. What watching the many phases of Kanye has taught me most is the importance of never losing a sense of self. It’s okay to have confidence broken and the ego bruised, but you can’t lose yourself. Not in love and not in hate, not when they cheer and not when they boo. All the money in the world isn’t worth losing what can’t be bought. Ultimately, Ye wants his kids to have an easy life because they deserve that much for all he has sacrificed. I hope he’s somewhere living easy, enjoying the slices of his fruit, while I continue to try and appraise mine. 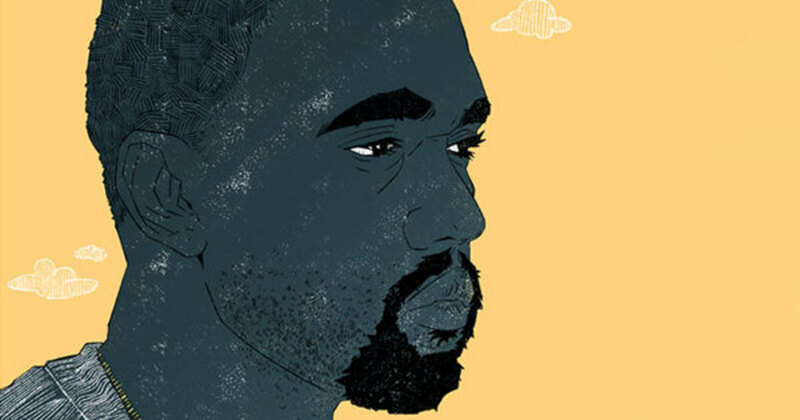 The influences of modern-day Renaissance men like Donald and Ye goes way beyond music.